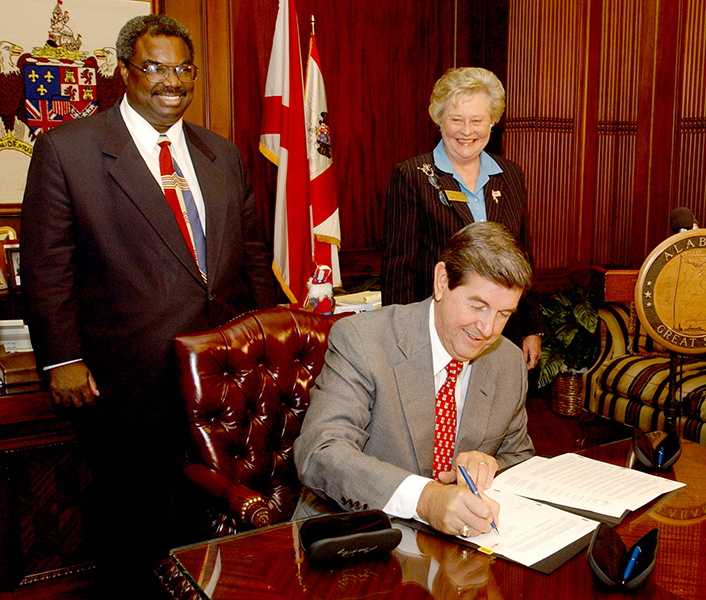 Alabama governor Bob Riley, shown here with State Treasurer Kay Ivey, signs the executive order creating the Black Belt Action Commission on August 11, 2004. Ivey served as first co-chair, along with state senator from Selma Hank Sanders, of the commission. Courtesy of the State of Alabama, Office of the Governor.